After a long day of work, playing chauffeur for the kids, or having some weekend fun, it’s always nice to stop by Trip’s Diner for a bite to eat. Our dinner menu is designed to provide exactly what our guests are craving, along with something sweet to finish off the meal. Our homemade pasta dishes are always a big hit. In addition to everyone’s favorite, spaghetti & meatballs, we serve blackened chicken on a bed of penne pasta as well as chicken Parmesan over Alfredo pasta! Comfort food at its best! 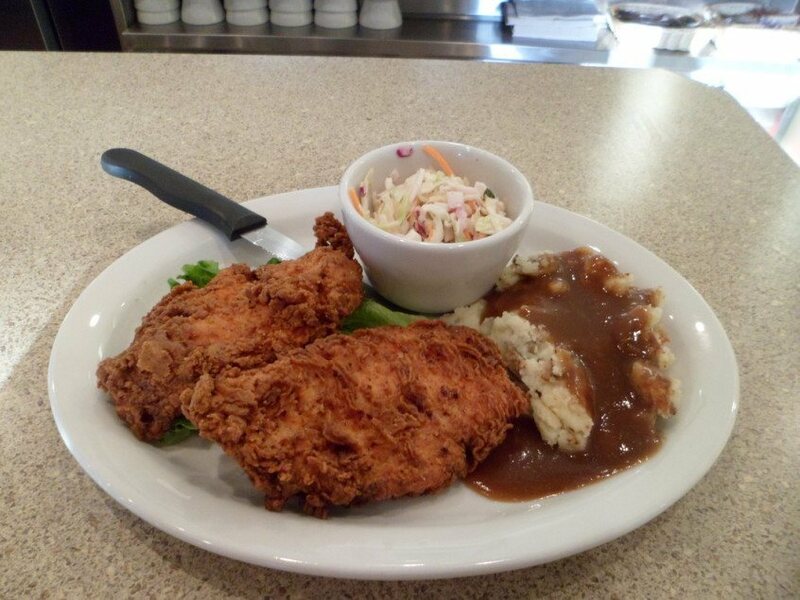 What could be more filling than two sides, garlic toast, and your choice of boneless fried chicken or grilled chicken breast? Absolutely yummy, even if we do say so ourselves! Our specialty sandwich combos are perfect for sandwich lovers who want a little more than meat on a roll! Each combo comes with your selection of half of a specialty sandwich, cup or bowl of soup, or a salad. If you’d like something that you can really sink your teeth into, why not order up a plate of our baby back ribs, sirloin steak, or country fried steak? We also serve a mean plate of meatloaf! Still have room after dinner? Try our homemade pies for a mouth full of fruity goodness, or indulge in a creamy milkshake or scoop of ice cream! Thanks again for checking in to see what’s new at Trip’s Diner. We hope you’ll stop by and say hello soon! 2339 Martin Luther King Jr St N.